HELENA – Montana is facing a deadline at the end of this year to comply with a 2005 federal mandate called the “Real ID Act,” which requires states to meet minimum security standards for identification cards used to access federal facilities or get through airport security. Senate Bill 366 would make it so that Montanans have the option to obtain a state driver’s license that complies with the standards. The Senate State Administration Committee will hear first testimony on the bill Monday. The option would tack on an additional fee to the cost of a standard renewal license – $25 for people who buy into the option during a renewal period, and $50 for purchases prior to the renewal period. That cost would be less than a passport, which some Montanans will need to get once federal facilities or the TSA stop accepting the current Montana ID next year. 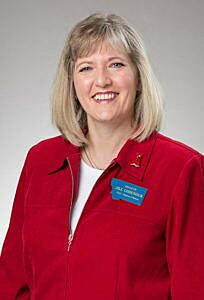 Sen. Jill Cohenour, D-East Helena, who is carrying the bill, said when the Real ID act was introduced, she was one of the legislators who voted to reject the changes to Montana state IDs. “The fact that Montana has not implemented (it) now, is going to start to affect actual citizens’ ability to get on a plane and fly domestically,” Cohenour said. Cohenour said that the Real ID Act does not send information gathered to the federal government. The IDs simply have to conform to a look provided by the act, she says. The fact that Montana IDs don’t conform to that look can prevent Montanans from accessing federal courts for jury duty, Fort Harrison and Malmstrom Air Force base. “I think that puts Montanans in a really difficult situation, which can be remedied by this bill and what we’re offering to do on behalf of the state of Montana with this process,” Cohenour said. Up until this year, the state had been able to get extensions because licenses were continually being updated. Cohenour said this year the extension was not approved because the state had to finally commit to be compliant with the act, and that set the final deadline of Jan. 1, 2018 to meet the standards. Implementing the IDs would cost the state $2.5 million, but if the Legislature passes Senate Bill 366, Cohenour said, the state could ask for another extension. Since the first year of the state’s two-year budget is tight, she said an extension would probably be the next step. “Yeah, the 2018 date of January could be pushed off till October of 2018 and then we can get another extension to go October of 2019 – that helps a lot with our budgetary situation,” Cohenour said. The bill has support from GOP Chairman Republican Rep. Jeff Essmann who is a cosponsor. Cohenour said he has expressed interest in carrying the bill if it advances to the House.